Birmingham university is based in the city of Birmingham which has a population of over 1 million people. Birmingham is a vibrant, multicultural city with many theatres, art galleries and places of interest. Birmingham has its own international airport which has direct flights to many international locations both inside and outside the EU. The temperature in Birmingham drops to an average of 4-5 degrees centigrade in December/January and 17 degrees in July. Birmingham is situated in the heart of England and is about 118 miles from London. The University of Birmingham was founded in 1900, by Royal Charter, by Queen Victoria. It was England’s first civic university, where students from all religions and backgrounds were accepted on an equal basis. It was the first university to be built on a campus model, with university buildings built in one location. The university has a main campus in Edgbaston and a smaller campus in Selly Oak-Birmingham’s Edgbaston campus is a 250-acre site, including the university’s own train station. The campus is about 3 miles from Birmingham city centre. Most of the university owned accommodation is between 10-20 minutes walk from the main Edgbaston campus. The main accommodation site, Vale Village is 20 minutes walk from the main campus. Security staff are available 24 hours a day on campus. In addition a police office is based in the centre of campus and the University has its own community police officer. 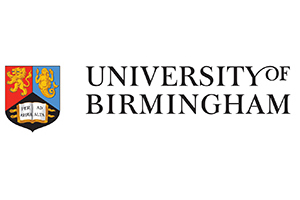 University of Birmingham is currently ranked =116th in the Times Higher Education World University rankings and is ranked between 101-150 in the Shanghai Jaio Tong rankings. Birmingham is a member of the Russell group of universities. University of Birmingham is ranked =36th in the National Student Survey Satisfaction rankings. Birmingham has over 5,000 international students from over 150 countries which is one of the largest overseas student communities in the UK. This represents approximately 18% of all students. Pathway entry for international students-NCUK offers foundation courses leading to degree course entry at Birmingham. There are over 28,000 students at Birmingham university, over 19,000 undergraduate students and more than 9,000 postgraduates. HESA govt statistics show that 94.1% of Birmingham graduates are in employment or in further education 6 months after graduation. However, a breakdown of post-graduation employment by course, showing the split into professional/managerial positions, rather than general employment figures, is available from Unistats an independent source of university data. For more information, please visit the REF Information page. The university student’s union Runs more than 190 student groups and societies. The university’s Munrow sports centre has a fitness suite, 25 metre swimming pool, three sports halls, floodlit athletics track, floodlit grass and synthetic pitches, tennis courts. The university also has its own Art Gallery and a Botanic garden at the Edgbaston campus, plus a 450 seat music auditorium. Most of the university owned accommodation is located near the Edgbaston campus. The lowest price for a single room with shared bathroom and kitchen facilities is £123.00 per week. Fees for full time undergraduate course costs are set in 4 Bands at Birmingham-Band 1-£16,740-£17,640, Band 2-£18,360-£20,160 covers the major Arts, Humanities and Social science subjects, Band 3 includes all laboratory based subjects-£21,180-£23,460. 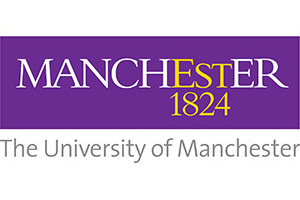 Birmingham offers MA/PhD courses via distance learning. 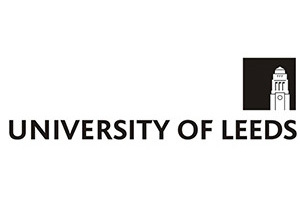 It offers a total of 12 distance learning MA’s in subjects such as Applied Linguistics and History.